The Board of the Charter School of the Dunes and LEE Companies announced that the Charter School of the Dunes, a 66,000-square-foot state-of-the-art K-8 public charter school, has been awarded LEED Silver Certification by the U.S. Green Building Council. The LEED rating system, developed by the U.S. Green Building Council, is the premier, world-wide certification program recognizing buildings constructed, maintained, and operated for improved environmental performance and sustainability. Building projects earn LEED points for satisfying specific green-building criteria. There are four levels of certification obtainable: Certified (40-49 points), Silver (50-59 points), Gold (60-79 points), and Platinum (80+points). Charter School of the Dunes is one of only four LEED Silver rated schools in the State of Indiana and is the only charter school to achieve that rating to date. "We are gratified to receive the LEED Silver certification," said Dr. Joi Patterson, President of CSOTD. "It's the fulfillment of an early vision, goal, and commitment to sustainable construction which is a natural outgrowth of our focus on the environment. LEE Companies, our Project and Construction Manager, lead the way from the early establishment of the LEED Silver goal through the application of green building principles and practices in the design and actual construction." 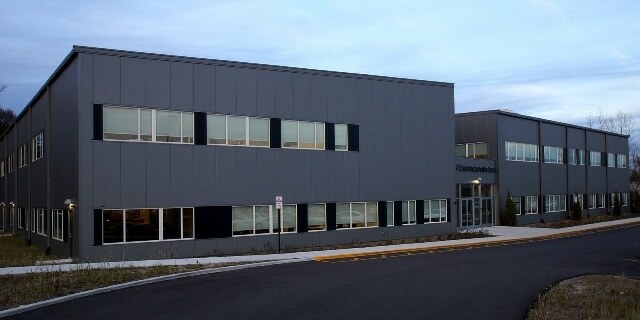 "It's been a labor of love and an honor to assist the Charter School of the Dunes in fulfilling the goal of LEED Silver which clearly demonstrates commitment to stewardship of the environment for their students and the community through sustainable construction," said Patrick Lee, President of LEE Companies. Charter School of the Dunes, http://www.csdunes.org/, is a State of Indiana public charter school founded in 2003 located at 7300 E. Melton Road in the Miller Beach neighborhood of Gary. CSOTD provides a safe supportive environment and welcomes students in grades Kindergarten through 8 regardless of their previous academic success: students who wish to learn, students who have fallen behind, students who have been told their aspirations are beyond reach. Each student receives differentiated instruction from the highly trained and certified staff through an individualized plan tailored to their unique needs using an environmentally focused curriculum that fosters knowledge, love, and respect for the environment and the will to preserve it for future generations. LEE Companies, http://www.leecompanies.net/, is a Gary based Project and Construction Management firm that has been minimizing costs, maximizing quality, and optimizing schedules for its clients, from initial planning through final close-out, for over forty years. LEE Companies is a member of the U.S. Green Building Council and its Project Managers are LEED Accredited Professionals.